VW Group plans to build 10 million electric vehicles. The Volkswagen brand's I.D. family will include a retro-styled minibus, hatchback and crossover. WOLFSBURG, Germany -- Volkswagen Group could be open to sharing its new electric vehicle platform with Ford. VW and Ford said in June that they were considering a development and production alliance that would include light commercial vehicles to strengthen both companies' competitiveness. On Tuesday, Volkswagen CFO Frank Witter said the automaker's strategy is to open up the company much more to partnerships. Asked whether this would include allowing Ford to build cars on the group’s flexible MEB electric vehicle architecture, Witter did not rule out such an idea. "Whether we might provide access to other brands outside of the VW Group is theoretically possible, but there is no decision," Witter told journalists on a conference call for the company's third-quarter results. Witter said currently VW is focused on preparations for its first MEB-based vehicles that will go into production in November next year in its plant in Zwickau, Germany, which is being converted into an EV factory. 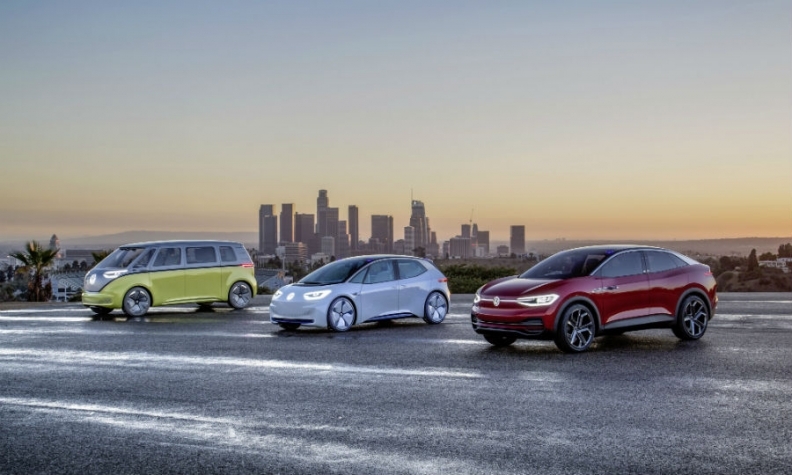 VW Group plans to build 10 million electric vehicles globally over the first lifetime of the MEB architecture, the automaker said last month, starting in Zwickau with a Golf-size hatchback internally called the I.D. Neo. This will be followed soon after by the launch of the I.D. Crozz crossover in the U.S. and China. VW will build MEB vehicles in two plants in China. The company plans to build up to three EVs in North America and will decide by year end whether to produce them in Chattanooga. The group plans to build 27 models for four group brands -- VW, Audi, Skoda and Seat -- as it targets global mass production of toward the end of 2022. Some industry experts believe MEB could be one of the industry's most cost-efficient EV platforms, helped in part by significant volumes sold in China. Witter said autonomous technology was another area where VW was in talks with many players whether to pool their joint resources. VW wants to ally with other automakers to create an industry standard for self-driving technology. Such a move would give companies better legal protection following accidents involving autonomous cars, VW believes. VW and Ford may broaden their partnership to include collaboration on autonomous driving and arrangements to make vehicles for one another, Bloomberg reported on Oct. 26.